NYC: Film Screening The LuLu Sessions and Roundtable Discussion with Filmmaker Casper Wong and Professor Lana Lin (New School). Moderated by Professor Heng-Mei Heberer. When: Wednesday, Oct 3, 2018, 6 – 9 pm. Where: Cinema Studies at NYU, 721 Broadway, 6th Fl, NYC. First showing in NYC of this award-winning documentary in 5 years (since 2013). Great film. 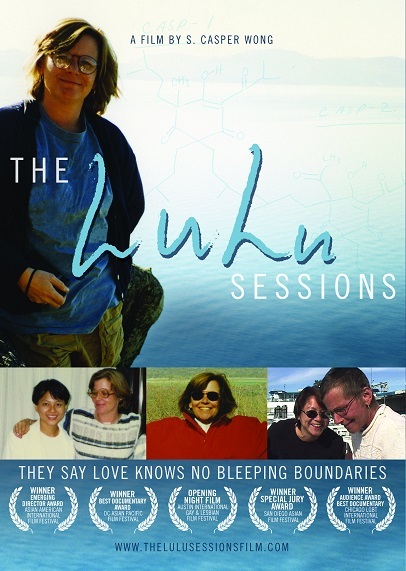 The LuLu Sessions is a raw, intimate yet surprisingly humorous story about the filmmaker showing up for her best friend and ex-something, Dr. Louise Nutter (“LuLu”)—world-class cancer researcher, who got her Ph.D in 3.5 years and was a Yale post-doc— finds out she is dying of breast cancer herself at 42. Together they test the limits of their bond while taking on life’s ultimate adventure in this moving film about 2 women and life. It is a story about relationships and friendships. Followed by a panel discussion with filmmaker S. Casper Wong (Columbia, NYU Law), a former IBM patent attorney who became a filmmaker and Professor Lana Lin (New School). Moderated by Professor Heng-Mei Heberer. Proudly announced by Yale GALA, Inc. Organized by the film series Queer Migrations & Diasporic Intimacies, hosted by the Asian Film and Media Initiative (Cinema Studies, NYU).